Are you as pumped about the upcoming Winter Olympics as we are? Watching the countries come together to compete gives us an adrenaline rush right in the comfort of our own home! Watching the medal count for each country fuels our competitive nature. The shots of the victors kissing or biting the medals in their mouth make the covers of magazines. Olympic athletes live for the moment to be photographed kissing a medal. For the rest of us, we do everything we can to avoid being noticed, photographed or caught with metal in our mouth. At Feather Touch Dental Care, we will help you achieve a winning smile while you avoid a mouthful of metal braces with Invisalign. 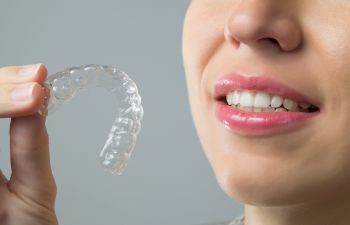 The Invisalign tooth alignment process utilizes a series of clear acrylic aligners that guide your teeth into proper alignment. The process is discrete, effective and comfortable. It can correct a variety of issues such as: gapping, overcrowding, open bite, overbite, underbite and crossbite. The process is not accompanied by a long list of foods you cannot consume while undergoing the orthodontic treatment. You can remove your aligners so that your brushing and flossing are accomplished at the maximum level of excellence. You can smile with confidence for every occasion (even selfies) during your treatment with Invisalign. Contact Feather Touch Dental Care today to see if you’re a candidate for a winning smile using Invisalign.